GB Boxing have been working with UK Sport to identify female talent within boxing. They have selected boxers from the recent UK Sport campaign #discoveryourfight and brought them into a training camp alongside the best boxers from England, Scotland and Wales. A huge interest was shown in the #discoveryourfight campaign with over four-thousand applicants. Over seven-hundred of the applicants had a specific interest in combat sports, ten percent of these were invited along to take part in the boxing pilot. Phase three of the pilot saw the aspiring athletes go through a three-day selection process, eventually narrowing the group down to twelve women. 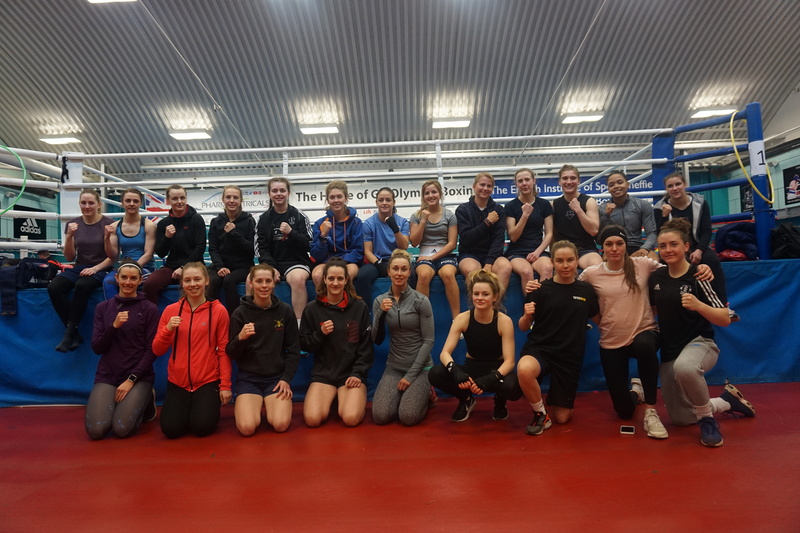 This weekend GB Boxing invited a total of twenty-two women to the final phase of the ID camp. This included the twelve women from the #discoveryourfight campaign and ten boxers nominated by their home nation to take part in the four-day assessment camp. The assessment gave each of the athletes the opportunity to live and train like a World Class athlete for four days. It included timed run sessions, strength and conditioning, shadow boxing, hand wrapping and open sparring. During the camp each of the boxers were been assessed on physical excellence, World Class mentality and professionalism, respect and maturity. With up to eight places available on the women’s development programme, the coaching team will be looking to progress boxers that have demonstrated the above qualities. Heading into the Tokyo 2020 cycle, GB Boxing is looking to expand the number of female athletes on the programme and give them the once in a lifetime opportunity to become an Olympian. Tom Stanton, Lead Scientist Performance Pathway said: “This is a good opportunity for us to look at not only the current talented female boxers in the system, but to also use UK Sport’s reach to access a wider range of athletes. It allows us to assess them against our World Class criteria and potentially unearth new exciting talent. “This is not new to GB Boxing, and we have been successful in finding athletes that we can then fast track into the system, for example Anthony Joshua and Natasha Gale, they came into the sport relatively late in their athletic career.